The ‘Independent Scotland Debate’ was organised by the Edinburgh Peoples Festival on September 9th. 86 people attended this well-conducted event in the Out of the Blue Centre in Leith. The speaker supporting independence was Kevin Williamson of bella caledonia, who argued from a Left nationalist perspective. The speaker opposing independence was West Lothian Labour MSP, Neil Findlay. 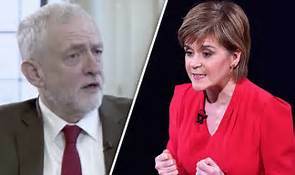 Neil is also a member of the Red Paper Collective  (RPC), which includes British Left unionists in the Scottish Labour Party and the Communist Party of Britain . Supporters of the RPC handed out their pamphlet, Power for Scotland’s People – A labour movement view , to elaborate on the points Neil made in the debate. This website has already posted critiques of Left nationalist approaches to the SNP government’s 2014 referendum . This posting is a critique of the British Left unionist approach outlined in the RPC’s pamphlet .